Microsoft made it possible to use Cortana on the lock screen so that you can do a variety of things like getting weather updates, reminders, calendar events, traffic data, playing songs, etc., without unlocking the PC first. For sensitive tasks like launching applications or accessing sensitive data, you are required to unlock the PC first. As good as it is, if you are not using or simply don’t like Cortana on the lock screen, you can easily disable it as needed. Here’s how. Windows 10 has a dedicated section in the Settings app that allows you to control the permissions and behavior of Cortana. As such, you can easily disable or enable Cortana on the lock screen by toggling a single switch. The best thing about this approach is that it is user specific, i.e. the changes you make don’t affect other users on your system. They can still have Cortana enabled on their lock screen. 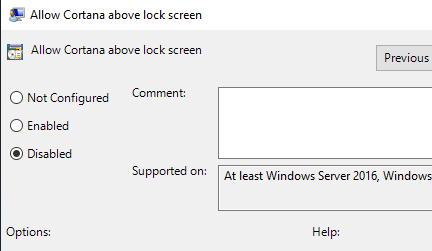 If you have multiple users on your system and want to disable Cortana on the lock screen for all of them, then you have to use the Registry Editor. Before editing the Registry, back it up to be safe. 1. Press Win + R, type regedit and press Enter. 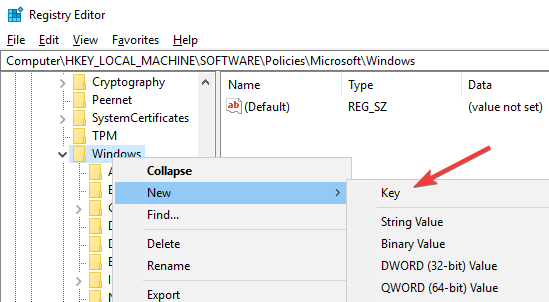 Now, go to the following key in the Registry Editor. 3. 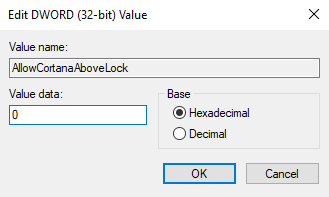 Select “Windows Search” key, right-click on the right panel and select “New -> DWORD (32-bit) Value.” Name the new value as “AllowCortanaAboveLock,” and press Enter to confirm. 4. Double-click on the newly created value, and set the value data as “0.” Click on the “OK” button to save changes. Windows 10 Pro users can use the Group Policy Editor to disable Cortana on the lock screen for all users of Windows 10. 2. 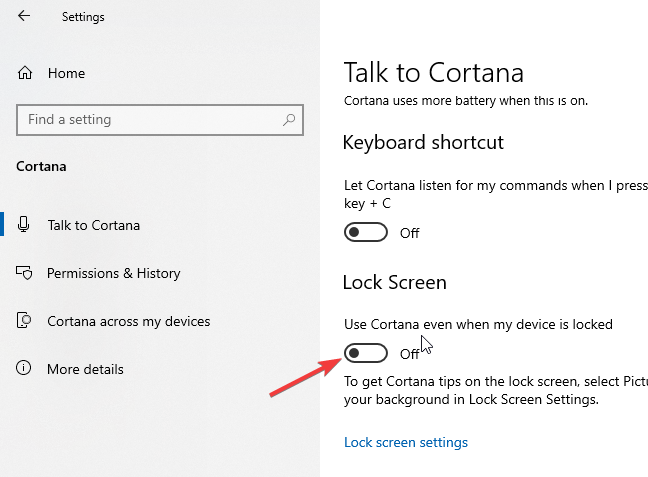 Find and double-click on the “Allow Cortana above the lock screen” policy. 3. Select “Disabled” in the policy properties window to disable Cortana on the lock screen. Comment below sharing your thoughts and experiences regarding using the above methods to disable or enable Cortana on the lock screen in Windows 10.